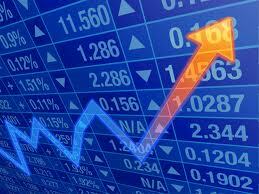 Banks and other financial stocks led the gains on the main index of the Toronto Stock Exchange Wednesday. Energy stocks were hit with another slip back for oil prices but 9 out of the 10 sectors gained. Wall Street was also positive following a weaker close Tuesday; positive data including the Fed’s Beige Book report showing growth. Europe’s stock markets ended positive after the ECB announced it was keeping interest rates on hold and a report from the FT suggested a deal on Greece’s debt may be close which could avoid a default on its IMF payment Friday. Asian markets closed mixed with Sydney unable to find enough optimism in better-than-expected Aussie GDP figures. Canada’s imports fell by 2.5 per cent in April while exports were down 0.7 per cent according to new data from Statistics Canada. Import volumes fell 1.8 per cent and prices were down 0.8 per cent while export volumes increased 0.5 per cent and prices declined 1.2 per cent. As a result, Canada's merchandise trade deficit with the world narrowed from $3.9 billion in March to $3.0 billion in April. Exports to the US increased 1.6 per cent ($31.8 billion) but fell to other countries by 7.2 per cent ($10.1 billion). Decreases in consumer goods as well as forestry products and building and packaging materials were mostly offset by an increase in energy products. Excluding energy products, exports fell 2.0 per cent in April compared with a 0.7 per cent decline in total exports. The OECD has cut its global economic outlook to 3.1 per cent this year, slightly lower than previously predicted. For North America the adjustments are sharper with Canada’s growth expected to be 1.5 per cent compared to the 2.2 per cent figure the organization suggested in March; the US is forecast to slow to 2 per cent from a prediction of 3.1 per cent made in March. On a positive note it said that non-energy exports are beginning to pick up and should continue to grow. Vehicle manufacturers were shown an updated software product from Blackberry in Detroit Wednesday. The software enables manufacturers to monitor the vehicle’s systems and provide updates to on-board software remotely using ‘over the air’ technology. The Ontario firm says that it should reduce maintenance costs and visits to the garage.